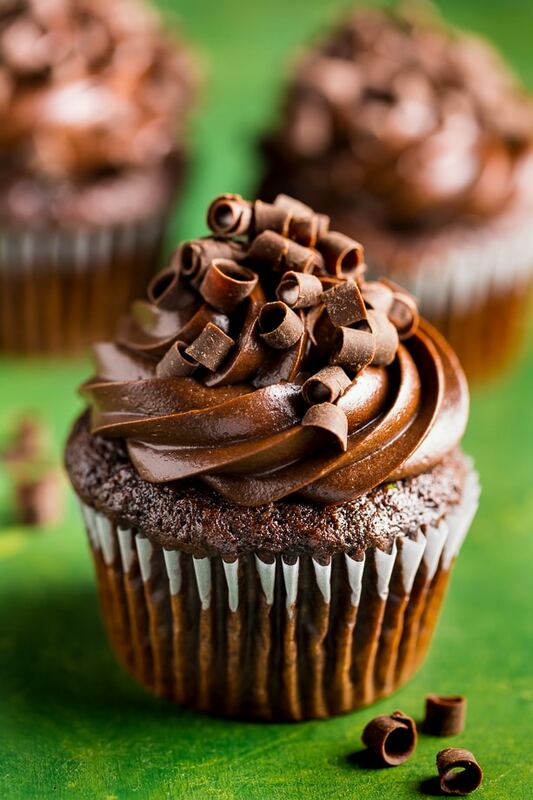 Zucchini Chocolate Cupcakes! A MUST bake this Summer. Hello and happy Tuesday! 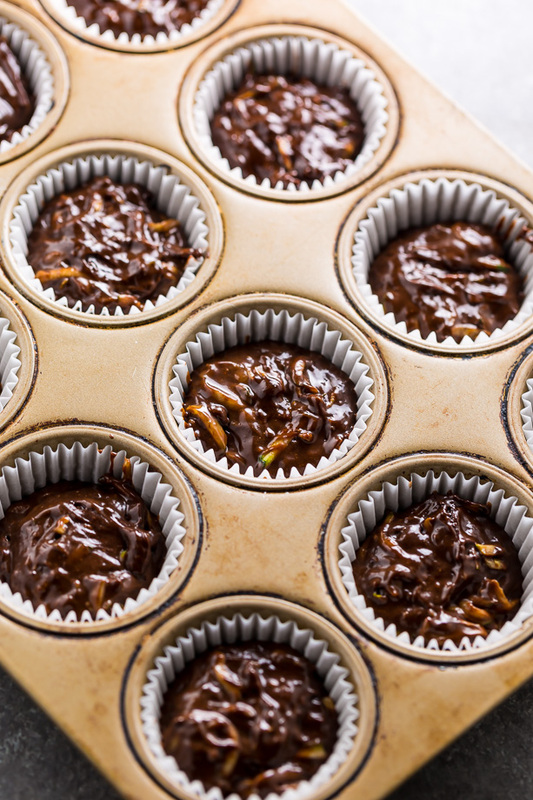 Here are those zucchini chocolate cupcakes I promised you last week. 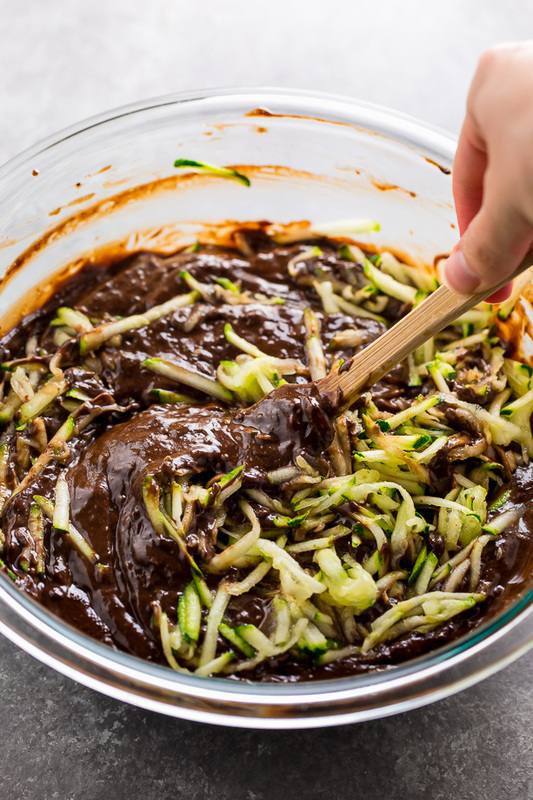 Make sure you grate your zucchini coarsely and drain it before adding it to the batter. You can drain it by placing it in a fine mesh strainer and setting it over a bowl. Sprinkle it with a little sugar and set aside for 10 minutes. Then press down on the zucchini and squeeze out the excess moisture. For best results, make sure your eggs, egg yolk, and sour cream have all come to room temperature before you begin baking. When you measure your flour, be sure you’re not packing it into the measuring cup. Packed flour will yield a dense and dry cupcakes. Because over mixing can lead to very dry cupcakes, you’ll want to make sure you’re stirring the batter just until it’s combined! If you want your cupcakes to have an extra large dome, you can fill the batter up to the edge of the liner. Otherwise I recommend filling it 3/4 of the way full. Also, remember not to open the oven while the cupcakes bake! This can cause them to sink. 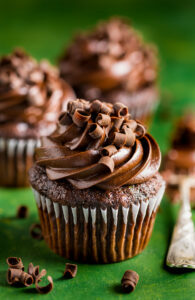 Finally, make sure your cupcakes have completely cooled before you frost them! Rich and decadent Zucchini Chocolate Cupcakes. A must bake this Summer! Preheat oven to 350 degrees (F). Line a 12-cup cupcake tin with paper liners and lightly spray with non-stick spray; set aside until needed. Place the oil and chopped chocolate in a heatproof bowl and melt in the microwave, heating in 30 second increments, and stirring between increments each time, until completely melted. Whisk mixture completely smooth and set aside to cool. In a medium-sized bowl combine the flour, baking soda, baking powder, cocoa powder, cinnamon, and salt; stir together until thoroughly combined and set aside. In a large bowl, whisk together the eggs, yolk, both sugars, and vanilla; beat until smooth. Add the oil/chocolate mixture and whisk smooth. Beat in the sour cream. Add in the flour mixture and, using a rubber spatula, gently fold the dry ingredients into the wet ingredients until barely combined. Add in the hot water and mix until just combined. It's important not to over mix, here! Just stir until evenly combined. Fold in the drained zucchini. Fill prepared cupcake tin, filling each mold 3/4 full. You can really fill them up to the line if you want an extra large dome. If you have extra batter (you probably will), set it aside and bake a second batch later. Bake for 20 minutes, or until a toothpick inserted in the center comes out clean. Cool completely before frosting. Sift together the confectioners sugar and cocoa powder, whisking well to ensure it's bump and lump free! Using a handheld mixer OR a stand mixer fitted with the paddle attachment, beat the butter on medium-high speed until creamy; about 2 minutes. Reduce speed to low and slowly add the sifted sugar/cocoa powder, alternating with the sour cream and milk, then add the salt and vanilla. Once all of the ingredients have been added, beat on medium-high speed until light and creamy and combined, about 2 minutes. Frost cooled cupcakes and top with any decorations if desired. 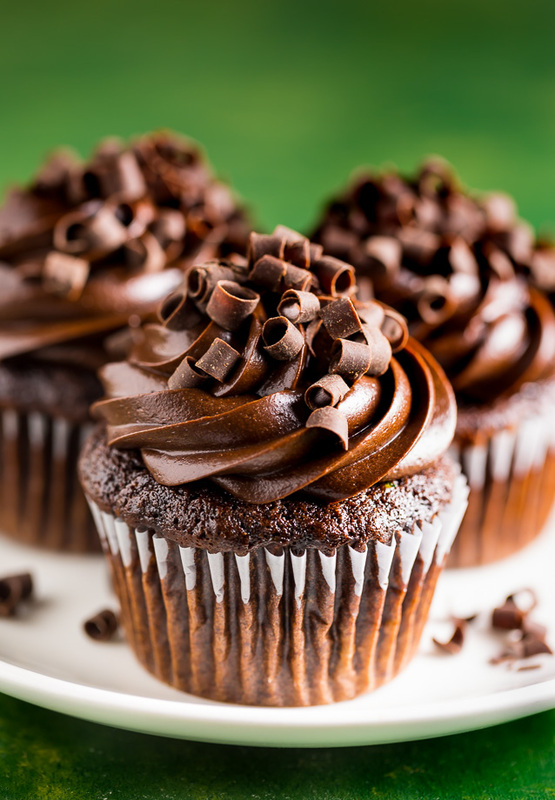 Cupcakes stay fresh, stored in an airtight container in the fridge, for up to 4 days. I suggest bringing them to room temperature before serving. Looks like a lovely recipe, but I’m just wondering if the coarse slivers of zucchini will blend in or be disguised when baking. Don’t want to give away the secret ingredient. Thanks, and I enjoy your blog very much! Hi Vicki. They’re slightly visible. I don’t think anyone would notice! Make me hungry and want to eat it ..
Hi, I’m vegan and was wondering if you can veganise your lovely recipe. This is very interesting, never thought one could bake with veggies! A must try!